A loan of $4,725 helped a member to buy a variety of good quality yarn to make clothes. 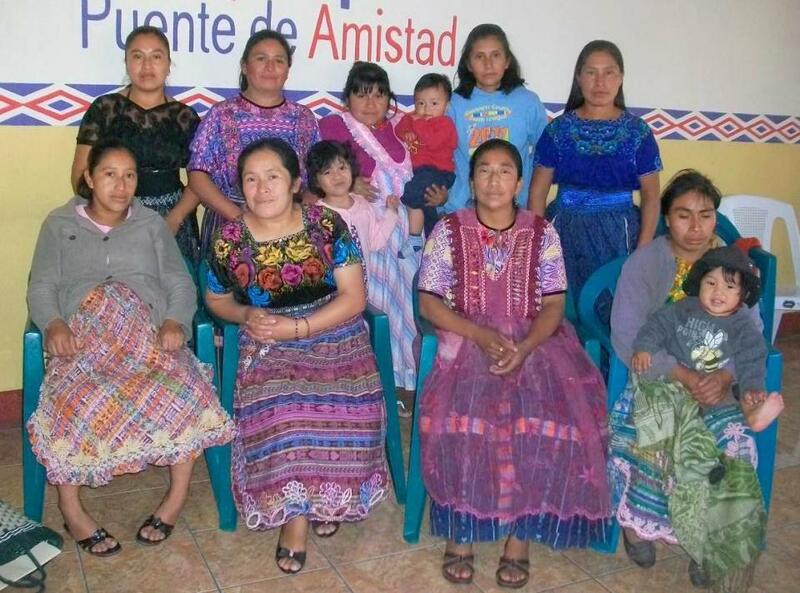 The meeting of the Friendship Bridge Trust Bank “Refugio Group” meaning “Refuge Group” takes place each month in a neighborhood of Quetzaltenango in the Western Highlands of Guatemala. The nine ladies in the group chose this name because they consider the Trust Bank a place to learn, to share, to participate, and to seek support. The ladies are optimistic, enthusiastic, and beautiful in their colorful and traditional outfits that are representative of the area. The women have an average of 2.7 years of education, and their families average four children. The ladies are involved in various economic activities such as the sale of clothing, the weaving of typical regional costumes, and animal husbandry. One of the members has a small store. Gladys is a 40-year-old married member of the group with four children who range in age from 8 to 19. They are her treasures and the “light of her eyes”. Like some families in the community, her family is involved with weaving of typical skirts called “cortes”. Currently, Gladys has four employees and because of their assistance, she is able to meet the demand for each week. She has applied for a new loan with Friendship Bridge which she will use to buy a variety of good quality yarn. Gladys is very happy to have this working capital because she will have more material to work with and therefore, more income. The nine women, along with their families, appreciate the opportunity to secure a loan which ultimately benefits everyone in their families since many of the businesses are family businesses. They also look forward to their monthly educational trainings on topics like sales and promotion, savings and indebtedness, medicinal plants, and healthy meals. Armed with their loans and information from their educational trainings, these women look forward to the future where empowered women will eliminate poverty.